Today at 20:44 Universal Time (56557.8638), 8h 70m Paris mean decimal time, summer officially ends and fall begins in the Northern Hemisphere. It was also on this date in 1792 the the First Republic was declared in Paris during the French Revolution. This marked the beginning of what was soon to be known as the Republican Era, which was to replace the Common Era of Anno Domini. Each year of the new era began on the autumnal equinox. The year was divided into 12 months of exactly 30 days, with five or six extra days at the end of the year treated as holidays. Instead seven-day weeks, each month was divided into three décades of ten days each. Each day was divided into ten hours, each decimal hours into 100 minutes, and each decimal minute into 100 seconds. 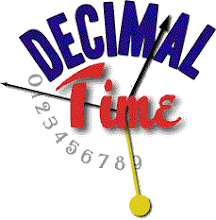 Decimal time never caught on, although clocks were made and some used it for a while. The astronomer Pierre-Simon Laplace had a decimal watch and used decimal time in his work, and to this day astronomers still use decimal time to date the observations of stars and other objects, which became the inspiration for Star Trek's stardates. The ten-day weeks were abandoned in 1802, and the rest of the calendar was abolished by Napoléon in 1806. Events during the French Revolution are still referred to by their Republican calendar dates, and lobster thermidor gets its name from the 11th month. The Gregorian date, September 22, 2013, begins the year 222 of the Republican Era, the 1st day of the month of Vendémiaire.